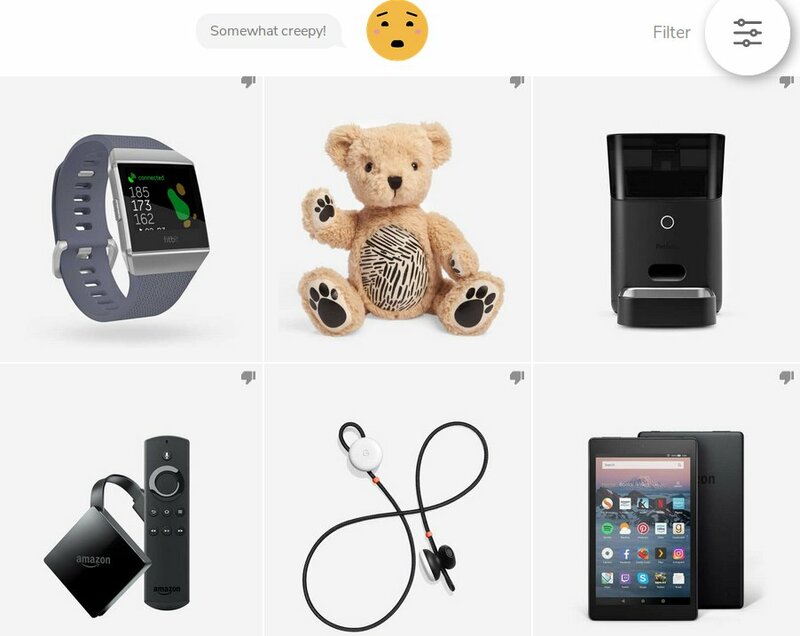 "Privacy Not Included" is Mozilla's Christmas shopping (anti)-guide to toys and gadgets that spy on you and/or make stupid security blunders, rated by relative "creepiness," from the Nintendo Switch (a little creepy) to the Fredi Baby monitor (very creepy!). Mozilla's reviews include a detailed rationale for each ranking, including whether the product includes encryption, whether it forces a default password change, how easy to understand the documentation is, whether it shares your data for "unexpected reasons," whether it has known security vulnerabilities, whether it has parental controls and more. The reviews also explain what might go wrong with each product (some of these are a little unconvincing, like an insecure sous vide wand that could overcook your food). Mozilla rightly acknowledges that a survey of 70 products shouldn’t be seen as any sort of definitive buying guide. There are thousands of internet-connected presents waiting to be gifted this year, all of them offering a wide range of privacy controls. But that’s not the point.